The Society’s archive provides a wealth of information as to the development of the design profession since 1930. 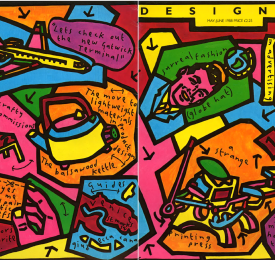 Its journals and publications not only illustrate the work of its members but also records the breadth of British and international design over three quarters of a century. Opportunities for funding the development and cataloguing of the archive are continually explored. The Society welcomes any collaborative proposals in this direction. The Society is also pleased to hear from members and/or their families who are clearing out their attics and studios and wish to dispose of CSD material that has lain in boxes or on shelves collecting dust. Please contact CSD if you wish to de-clutter and donate any relevant material to the archive. 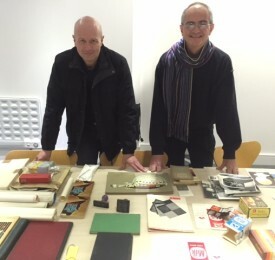 The archive material is of immense interest to members, designers, students and researchers and we try to make as much of it available as possible through various means. Unfortunately we are not in a position to grant public or members access to the material at this stage. You can find examples from the archive on our CSD Timeline, as well as on our Pinterest pages and we regularly broadcast items on social media.